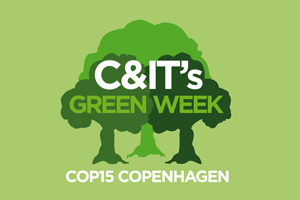 C&IT GREEN WEEK: Samantha Van Leeuwen, head of UK hotels and venues, Pricewaterhousecoopers on sustainable events. How important a role does CSR and sustainability play in your events programme? CSR is embedded in what we do so when it comes to running events we are always looking at home to make them more sustainable. For example we look at everything from travel, asking delegates to car share, down to offering advice on things like turning off electricity in their hotel rooms and recycling badges, and the recycling options for giveaways. Sustainability is an element that must be considered by every event planner. What changes have you made to increase the sustainability of your events? For around two years our travel policy has advised that delegates cannot fly anywhere under three hours - they must use the train. This is now absolute policy. We also introduced a green meetings guide. How will your commitment to sustainability affect your events strategy in 2010? We will continue to embed it into our events. If anything, it will become more of a focus, and the biggest thing is communicating it to teams across the UK. We have a much stronger policy now and we want to educate on that. Which eco-friendly venues/services would you recommend? The challenge for us is that green credentials cannot always be validated. We are trying to encourage our venues to sign up to the Carepar scheme, but the problem is many hotels want to use their own criteria. Carepar venues we use include Malmaison properties across the UK, as well as independent venues. What one thing will you do/change personally in 2010 to help the environment? Recycling - in the office there is a huge ethos of recycling and I plan to do lots more at home.